No credit card fees when you use Gunbroker Checkout! FREE SHIPPING! Action: Semi-Auto - Takedown Model • Finish: Polished Blued • Barrel: 22" 1:20" Twist • Sights: Gold Bead Front Sight, Adjustable Rear Sight • Magazine(s): 10 Round • Stock: Maple Grade 1 • Weight: 5 lbs. 3 oz. • Overall Length: 40"
CDNN is proud to bring this special production Browning to GunBroker with a penny start and NO RESERVE! Nearly 100 years of proven fun. The SA-22 is unlike any other rimfire rifle on the market. Much more than "just a 22," the history of this fine rifle can be traced back to the mind of the gunmaker himself, John M. Browning, and is a lasting tribute to his genius. The SA-22 is sure to become your favorite plinker and varmint rifle. It is lightweight and easy to carry on a squirrel hunt, and easy to load for a day of plinking at the range. Construction quality and materials are top notch to ensure longevity and lasting beauty. The fine Maple stock is sharply Checkered and polished to a sheen. The SA-22 ejects fired brass out the bottom of the receiver to make shooting a pleasure for right- and left-handed operators. Perhaps the most interesting feature is the ability to take the rifle down into two parts — the buttstock and receiver and the forearm and barrel — for storage or to simplify cleaning. A popular upgrade for the SA-22 is to add the aluminum scope base and a scope. This combination makes shooting more accurate and more fun than ever. When the rifle is taken down, the base and optic stay with the barrel to help ensure zero is not affected. Please take a moment and look over the pictures. These aren't stock images- the photos below are of the actual rifle for auction today. 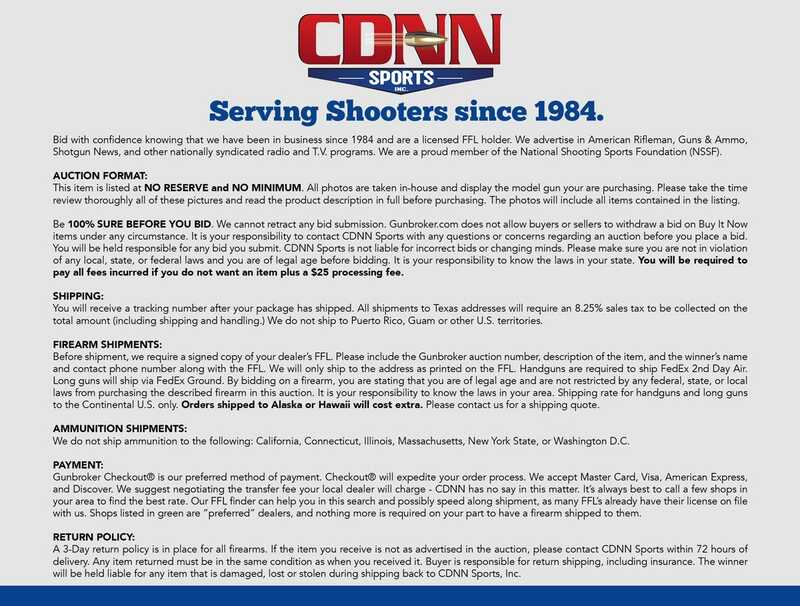 We will not ship this gun to California, Connecticut, Massachusetts, New Jersey or New York.